The five stages of community life help explain why some communities move faster and others slower when it comes to change. Why is it that some initiatives take off in one community but seem to fall flat when you try to replicate them in other places? And how do you best ensure that your collective efforts have the greatest chance of taking hold in a community, flourishing and actually building the conditions that make communities work? These are the vexing questions my colleagues at The Harwood Institute for Public Innovation were struggling with nearly 15 years ago as we were working in a number of communities across the country to strengthen their ability to come together and work on public challenges. 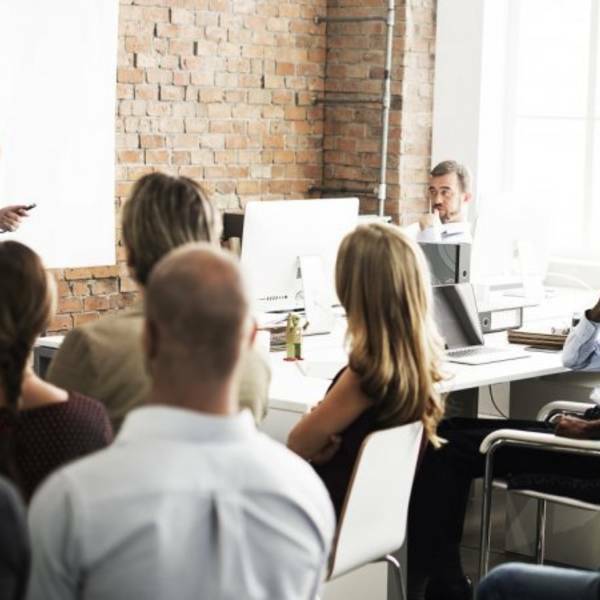 At the time, the conventional wisdom was – and in many cases still remains – that if you could just find best practices, bring “leaders” together and develop good plans based on those best practices, we could achieve impact. Yet, in community after community, we were seeing those practices being dropped in, with well intentioned leaders from across sectors coming together, but no real change happening. So, with support from the Mott Foundation, we sought to explore why that was the case. After examining our own efforts and looking at a number of communities, we came to this important conclusion: Communities have rhythms. They go through stages of community life. And while data, best practices and a commitment to rigorous analysis are all important, equally important is to pay attention to those rhythms and to actually develop strategies that fit local context. The five stages of community life help explain why some communities move faster and others slower when it comes to change. Each stage has its own implications, or do’s and don'ts. The same strategies may work in one community, but not another. What it takes to accelerate and deepen change varies, given the stage a community is in. When community actors have public knowledge, which you build through real engagement that includes both traditional leaders and residents, and know its community rhythm, they can determine and drive strategies that will fit the local context. In this stage, it is important to strengthen and grow those pockets of change – not to get overly focused on coordinating activities. Indeed, the focus in the catalytic stage should be on growing complementary actions. This is important; an obsessive focus on coordinating and aligning everyone and everything at this stage can be the kiss of death for your change efforts! The tendency will be to fall back on our reflex to engage in planning large-scale efforts that the community can’t support. So, while understanding a community’s stage is critical, it is equally important to make sure that you are prepared to act in a way that aligns with that stage. And that takes both discipline and a willingness to be turned outward toward community – letting the community itself, not your conference room, shape your choice and judgments. 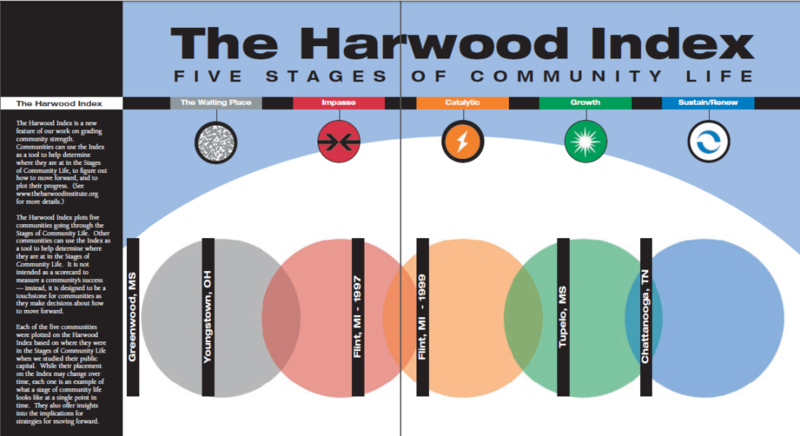 The Harwood Institute Community Rhythms tool is available for download at www.theharwoodinstitute.org. Read our Community Rhythms report to learn more about the stages of community life and examples of communities at each stage. Download The Community Rhythms tool which has questions you can explore to help you think about your community’s stage, along with tips for what to do and not to do in each stage. 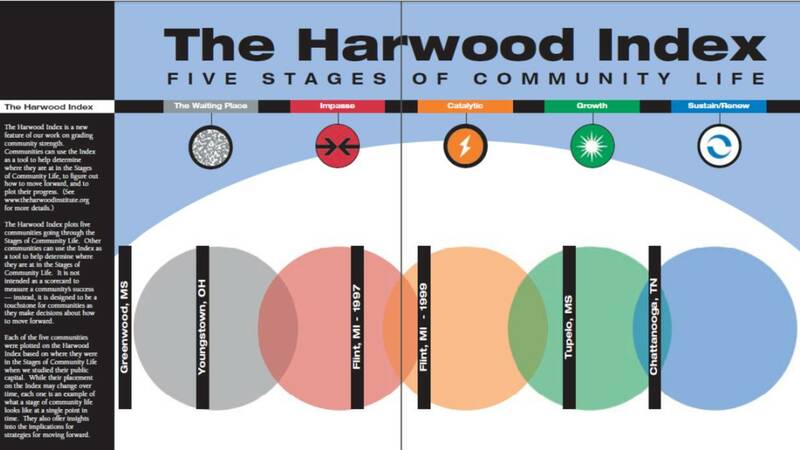 For more information, visit www.theharwoodinstitute.org. Image credit: The Federal Reserve Bank of Boston; Working Cities Challenge, Fitchburg, Mass. 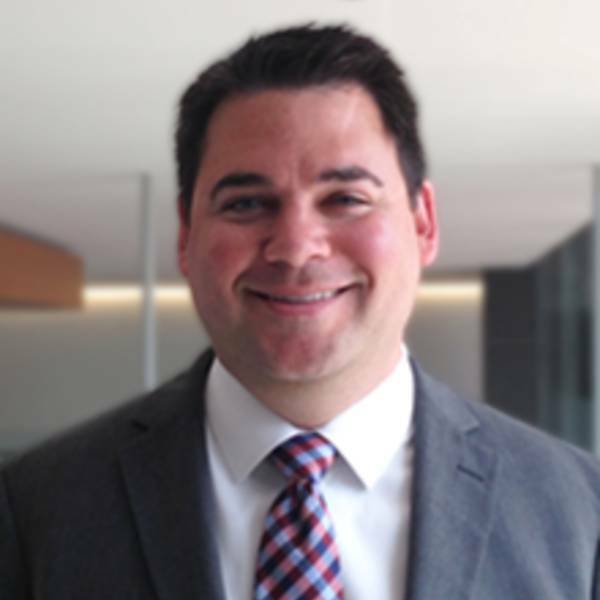 Mike Wood is responsible for developing and growing the Institute’s alliances with nonprofit and corporate partners, as well as overall business development and resource generation. He is a leader in the social and civic change sector and has a strong track record of leveraging The Harwood Institute’s frameworks and approaches to drive large-scale change.